Constance W. Rice, PhD, is the President of the Very Strategic Group, a consulting firm for executive coaching and collaborative solutions. Dr. Rice is semi-retired, focused on selective executive coaching. She is currently working on educational projects in Mississippi, and was appointed by Mayor Durkan to the Families, Education, Pre-School and Promise Levy Oversight Committee in Seattle, Washington. Dr. Rice was formerly the Senior Executive Fellow for Casey Family Programs; the nation’s largest operating foundation focused on safely reducing the need for foster care and building Communities of Hope for children and families across America. Founded in 1966, Casey Family Programs works in 50 states, the District of Columbia and Puerto Rico to influence long-lasting improvements to the safety and success of children, families and the communities where they live. Dr. Rice was also the Managing Director for Knowledge Management for Casey Family Programs. The team provides subject matter content for strategic consultants working in 50 states and jurisdictions. Information includes, but is not limited to, child protection policy, immigration, best practices, education, employment, housing, mental health, and kinship care. Dr. Rice is also known for her establishment of the Health and Nutrition Programs for seven elementary schools, which provided evening dinners for the students and their families and educational workshops on budgeting, anger management, tutoring, and urban gardening. In addition, Dr. Rice has partnered with the Meredith Mathews YMCA to launch the 2011/2012 global scholar program in conjunction with the Black Achievers Project. Dr. Rice has also lectured extensively on the importance of Diversity in Tokyo, Osaka, Kyoto, and Kobe. 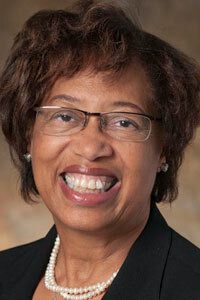 Dr. Rice is the former Vice Chancellor, and Senior Chancellor of Seattle Community Colleges. She also served as interim president of North Seattle Community College and is a former affiliate faculty member at the University of Washington’s Department of Human Centered Design & Engineering. Dr. Rice was the chair of Women and Ethnic Studies at Shoreline Community College, and is a member of the Washington State Kaiser Permanente board. Dr. Rice holds a graduate degree from the University of Washington, Evans School of Public Policy & Governance, and a doctor of philosophy from the University of Washington, College of Education. She is Chair of the Board of Regents for 2018-19.